Want to know a secret? The key to congregational vitality isn’t growth, it’s balance. This shouldn’t be a secret — and it isn’t for about 10% of our United Methodist congregations — but sadly it is for the vast majority. Ever since the late 20th century when we lost our mind to the church growth movement, we have been enamored with size, leading us to waste an incredible number of resources trying to get bigger instead of better. The two aren’t mutually exclusive, but they are not synonymous, either. Bigger is bigger, not necessarily better. Interestingly, better is better, and more often than not leads to bigger — eventually. 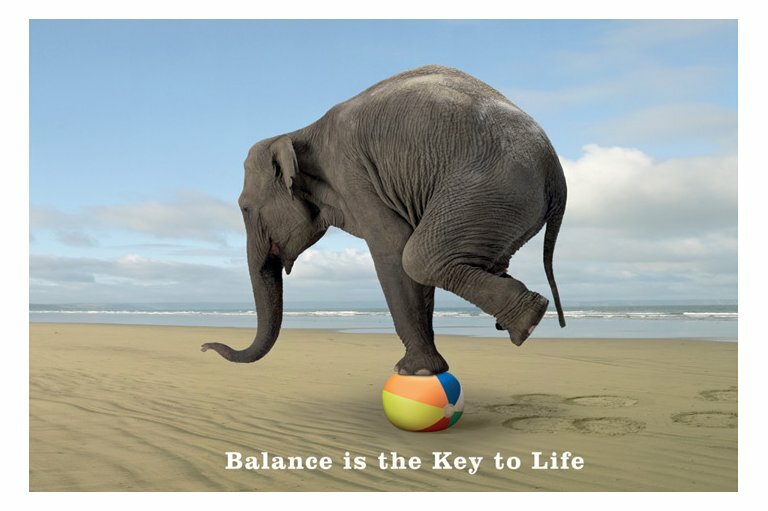 Anyway, balance is the key, and we’re talking balance in three fundamental areas: inward and outward focus, works of piety and works of mercy, and personal formation and connection with a larger community of faith. Inward/Outward Focus — In many of our congregations, it’s all about US. We build ourselves big buildings, hire ourselves big staffs, pay lots of money on program and landscaping and parking lots and digital technology, and make our churches as comfortable as can be (of we’re lucky). More regularly we scrape together whatever we can to keep going — spending our money on upkeep and overhead, salaries and insurance, heat and lights. We do what we can to get by — but it’s still focused on our own needs and wants. No matter how big a church gets or how many resources it has from which to draw, when the focus is primarily on ourselves, we are far from healthy. Any congregation that forgets that it exists as a manifestation of the body of Christ to serve God in the world is on a slippery slope to begin with. Selfishness simply doesn’t gibe with the Christian gospel, and all our rationalizations otherwise (we need to take care of ourselves first, then we can take care of others…) can’t change this simple fact. Our healthiest congregations live in a dynamic tension between strengthening the congregation and serving the world — and in the very best situations, one always feeds and promotes the other. We grow, enabling us to do more and serve more, which leads to further growth. This is very different from the mentality that says if we grow more we will have more — a closed loop. It is a subtle, but significant difference to hear the conversations in healthy and unhealthy congregations. Case in point: two small congregations that were in decline in the late 1990s, each within seven miles of the other and a host of other Christian fellowships. The leadership of “Wesley UMC” fretted and fussed over “how to get new members, young families, and more leaders.” They tried program after program, and slid further in decline. They cursed the times and the culture — there was no way they could grow in their community. They gave up. They are gone now. The leadership of “Christ UMC” asked a different question: “how can we serve more people?” They realized that doing Christian service for others needn’t cost more money. They began doing programs designed to equip people to be in ministry to others. They left the building. They discovered community needs (primarily among the elderly) and they worked to meet them. Today, they flourish and thrive and have tripled in size — in the same community where “Wesley” claimed there was no opportunity. The only significant difference was the way they framed their question; not how can we get more, but how can we do more? Personal Formation/Connection to Community — perhaps the greatest challenge we face in our modern individualistic society is putting the good of the whole community of faith ahead of any single agenda or personal need. A significant number of people in the United States come to church for one reason — what’s in it for them. Church is one more edutainment option among many — a way to kill an hour doing something perceived as an avenue for self-improvement. For this segment, there is little or no desire to do anything with the larger community of faith other than share in a once-a-week (or once-in-awhile) worship experience. The idea of participating in spiritual community has virtually no meaning. Many subscribe to the attitude that “my faith is between me and God and is nobody else’s business.” Our healthiest congregations do not pander to the consumer mentality of modern spirituality but create communal spiritual environments where the “we” is always put before the “me” of any individual. There is a widespread, shared vision of “body of Christ” as the guiding metaphor, meaning that no individual can do it alone. Church is fundamentally about relationships — to God and others. Where individuals are formed in the faith for the common good, to build up the body, to equip the saints for ministry, etc., there is health. It is easy to see how closely these three things are related and they all share a common thread — the Christian faith isn’t just about “us.” We are formed for a greater purpose than our own satisfaction and fulfillment. We are God’s church — existing to seek and serve God’s will. Certainly we are beneficiaries, but we are not the reason the church exists. The church doesn’t exist to serve us; we are the church, equipped to serve those who are not yet (nor will some ever be) part of the universal fellowship. We have spent an inordinate amount of time and energy trying to get people in our church buildings, and now we struggle motivating people to go out and serve others in the world. Some of our churches are so saddled with property and facilities that they have little time or energy for ministry, just maintenance. A number of our churches are so busy doing things to keep the members happy that the mission is all but lost. Transformative ministry bows before passive chaplaincy and the church declines and the world remains unchanged. But it doesn’t have to be this way. With balance not only do we change the church, but we change individual’s lives, as well as the world. It’s nice to know it can still happen. I agree wholeheartedly with your points. There is evidence that many others are catching on to this as well. I am also exasperated at our “system.” How much does it cost an annual conference to fund a Bishop’s salary, living quarters, benefits and expenses? Does our overwhelming financial burden in this category reflect the reality of 21st century ministry? What about Elders (like myself) and licensed local pastors serving less than full time and struggling to keep their basic needs at bay so as not to interfere with vital ministry (while our system continues to support a lopsided notion of appointments based on inflexible minimum salary requirements)? Thanks again for another great topic Dan!! I would be curious to know how we can get our members motivated to accomplish this? What does it take to get them on fire to share the love of Christ and be his hands and feet? That’s the greatest frustration I face as I begin my ministry, as I see that people tend to come in, take things for granted, then accept things for what they are. I recently attended a workshop by Bishop Robert Schnase and one of the areas he pointed out to us was whether we really know our community or not. If we get outside the building, we will be able to know our community, but I wish there was a creative way to do this. Would love to hear about ways we can make it happen to get everyone motivated. Andrew, if I read you right, here’s an “obvious” answer from my experience: while I spent a lot of time in the church building and concerned about churchy things, most everyone else spent time outside the building. One way to find out about life on the outside is to ask folks how it is or how their faith intersects with their daily living or how they could imagine their Sunday morning/Sat. night worship and/or study might make a difference in their experiences beyond the church building. I’d be interested in ways of doing this too. Small groups might be one. I think the author and book are Gustav Nelson and SERVICE IS THE POINT–he suggests personal mission statements and a church commissioning service to help members/friends understand that they serve as servant ministers in their daily lives. Hi Dave! That would be a good study idea right there!! I try to share about faith with customers and coworkers and invite, but nobody comes. I’m hoping to do some exploration of getting out of the building and engaging with the community during my transition period (am getting ready to move to another city for school in a few months and am leaving a ministry position in the church I serve at the end of the month). Thank you for the ideas! !